Bangladesh has a refugee problem, and the South Asian nation is struggling to find a way to solve it. Hundreds of thousands of Rohingya refugees flooded into Bangladesh from Myanmar in 2017. The country is now home to nearly a million Rohingya refugees. 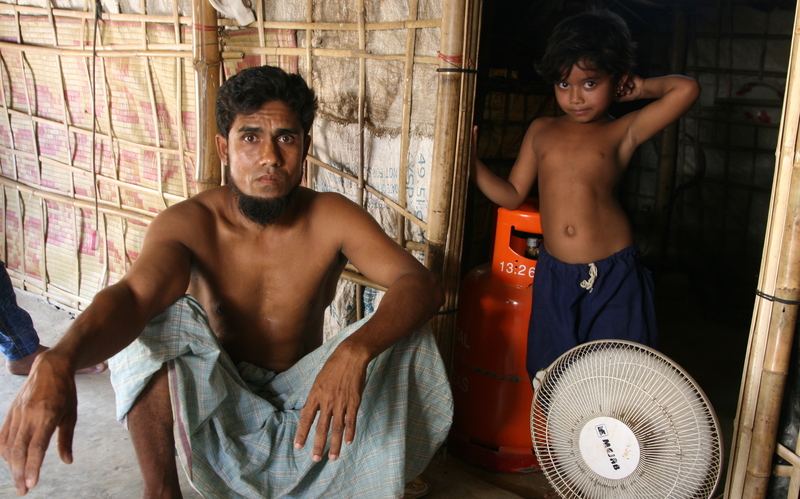 Almost all of them live in overcrowded camps just outside the beach town of Cox's Bazar on the Bay of Bengal. Bangladeshi officials insist the camps are temporary. But ongoing violence in Myanmar makes it unlikely the Rohingya will return home anytime soon, and that's how the Rohingya problem has become a Bangladesh problem. NPR's Jason Beaubien reports. 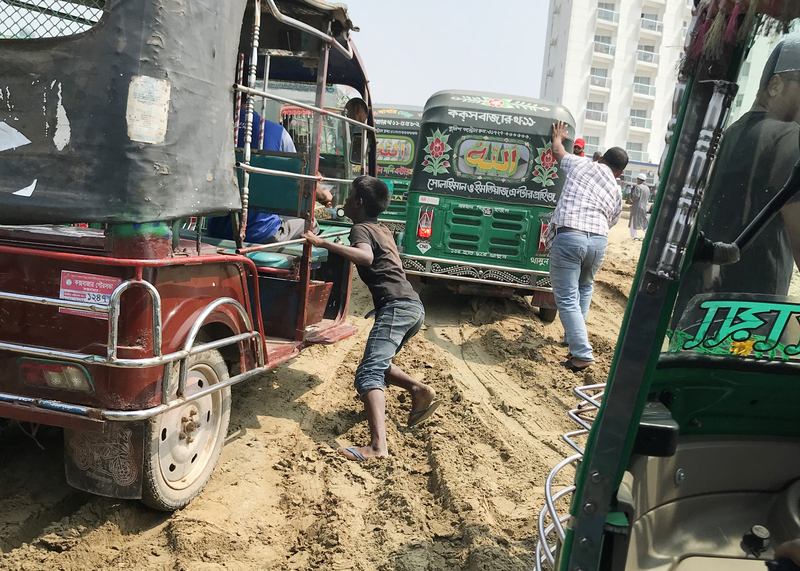 JASON BEAUBIEN, BYLINE: It's high tide in Cox's Bazar, and there's a traffic jam on the beach. The lone road that leads south out of Cox's Bazar to the sprawling new refugee camps is closed for repairs, so all the traffic has been diverted onto the gray sand beach. Little green rickshaws jostle with passenger vans and pickup trucks to get over a sand dune and back onto the paved roadway. At high tide, it's the worst, as some of the vehicles get stuck in the wet sand, and they block the ones behind them. Mohammad Abul Kalam says the sudden influx of 700,000 refugees into this part of Bangladesh in 2017 has had a huge negative impact on the local community. MOHAMMAD ABUL KALAM: The infrastructure that has been under unbelievable pressure because they were not meant for, actually, this much population. BEAUBIEN: Kalam is the head of the Refugee Relief and Repatriation Commission in Cox's Bazar; essentially, he's the Bangladesh government's top local official regarding refugee issues. He says the locals feel insecure and outnumbered by the Rohingya. KALAM: For example, in Ukhiya, against 230,000 local population, we have more than 700,000 Rohingya population. So the entire demographic balance has been reversed. BEAUBIEN: The refugees have been an environmental disaster, Kalam says. They've cut down all the forests surrounding the camps for firewood. They've diverted streams. He says they're driving up food prices and driving down wages. The refugees are not supposed to leave the camps, nor are they officially allowed to work in Bangladesh, but Kalam says they do anyway. KALAM: You cannot really stop people being engaged in some work, some one kind or another kind. It all has happened, I mean, with this mass population. BEAUBIEN: And he says this refugee crisis is unsustainable for Bangladesh. KALAM: We are already an overpopulated country with more than 160 million population in very limited space. It would be really very difficult for Bangladesh to allow them to integrate within our own society. BEAUBIEN: The Rohingya fled brutal attacks by government-backed militias in Myanmar in 2017. Thousands were killed. Just about every refugee has horror stories about why they fled. 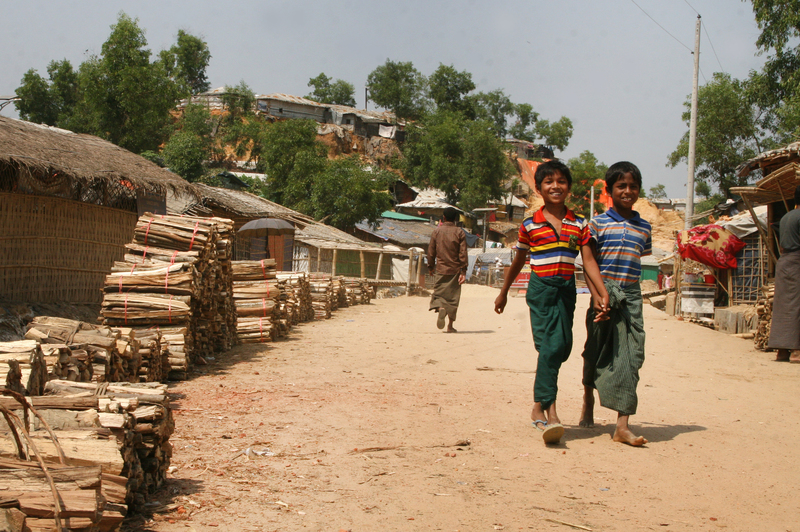 Given that trauma, the Rohingya appear unlikely to return to Myanmar anytime soon. So Bangladesh has proposed another solution - the government has built a camp capable of housing more than 100,000 refugees on an island that recently formed in the shifting currents of the Bay of Bengal. Kamal says Bangladesh has spent $300 million building dormitories, cyclone shelters and sea walls on the island. KALAM: And they're very good quality shelters, and other infrastructures are put in place there. The government is suspecting that the Rohingyas will have a better life there. BEAUBIEN: The island is more than 10 miles from the mainland, and Meenakshi Ganguly, South Asia director for Human Rights Watch, says this is a terrible idea. She says the island will serve more as a detention facility rather than upgraded housing for the refugees. MEENAKSHI GANGULY: The truth is that these are people that are going to be locked on this island because they're not really allowed to leave. BEAUBIEN: Kalam says refugees won't be forced to move to the island, and any relocations will be voluntary. 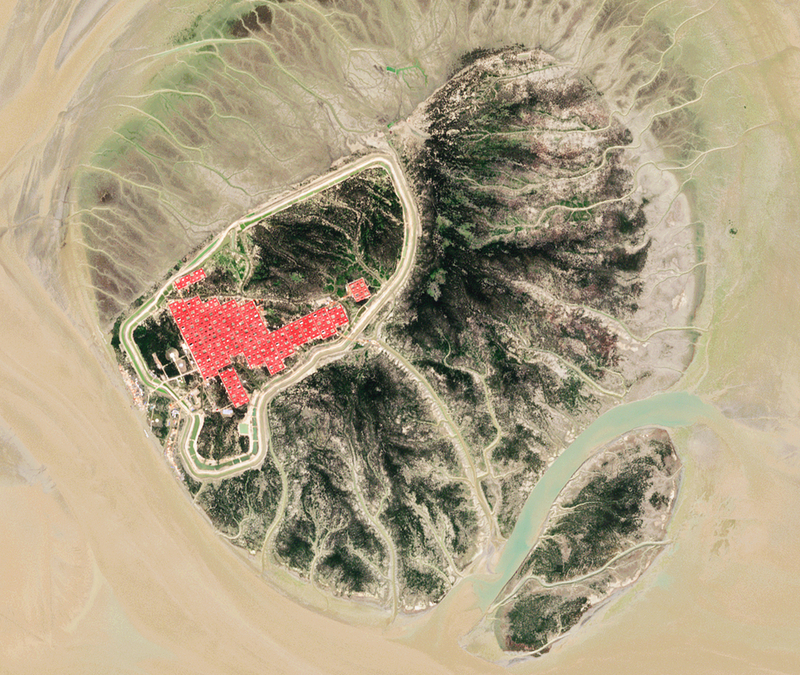 But inside the camp, the island proposal is a concern to many of the Rohingya. HAMID HASSIN: (Foreign language spoken). BEAUBIEN: In his bamboo and tarp shelter in the Balukali camp, 30-year-old Hamid Hassin says he has no desire to move to the island. He says it isn't safe, and he's worried it will flood. BEAUBIEN: "We fled Myanmar to save our lives," he said. "We don't want to end up dying on that island." Jason Beaubien, NPR News. Transcript provided by NPR, Copyright NPR.